July 13 – 19 – Craig and L'Or L.
It’s hard to believe we have been here one whole month! And are we still happy? Io! (“yes” in Fijian, pronounced ee-oh). We feel so blessed. 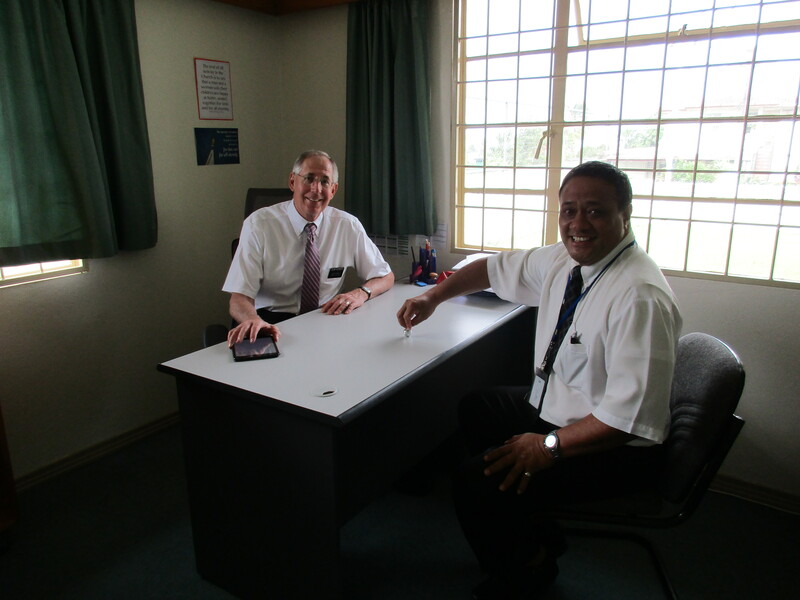 Each Monday morning we meet with our Institute Coordinator, Bro Sefeti. He and Craig have so much fun together, especially competing to see who gets the longest spin with the metal top the our friends the Hales gave us. 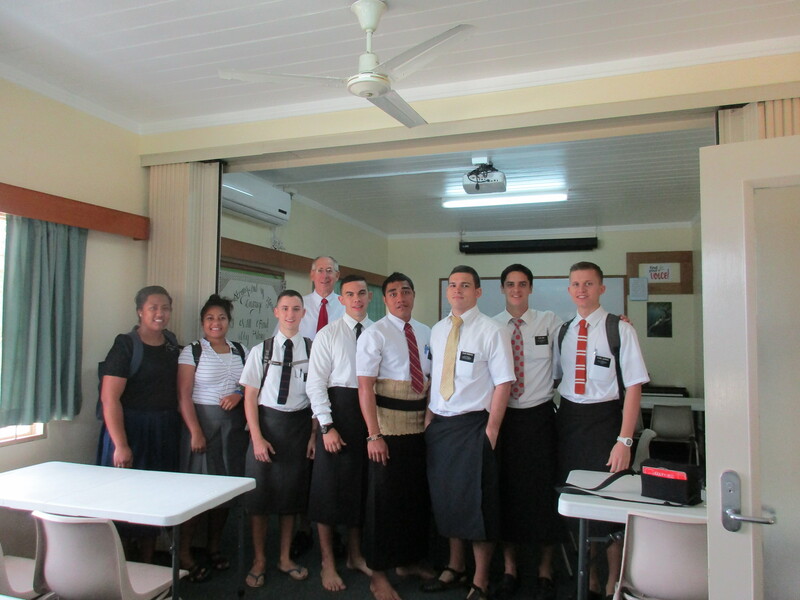 Tuesdays, missionaries have a district meeting at the institute. I love to see the woven mat Ta’ovala around the waist of the Tongans, especially around the waist of young deacons when they pass the sacrament on Sunday. Many take their shoes off and come into the chapel barefoot. Tuesdays and Wednesdays we are at the institute until late at night. 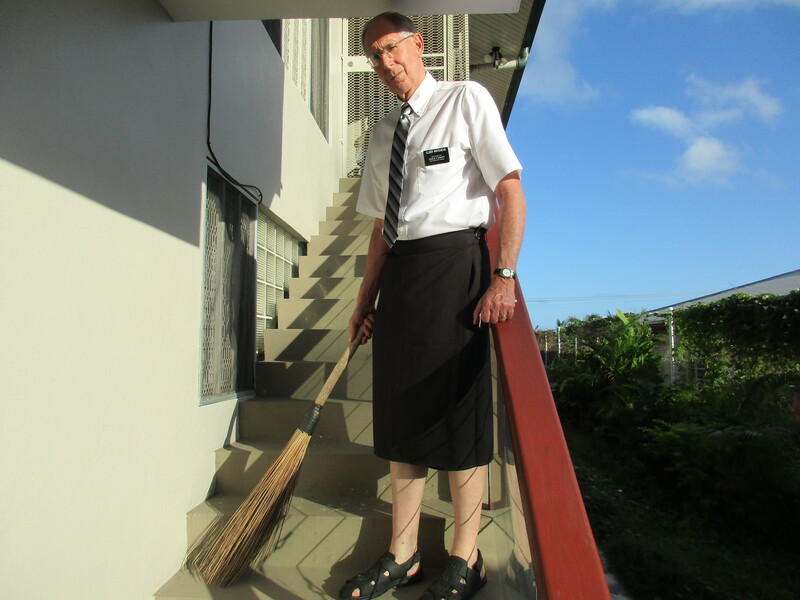 Seeing us come home last Tuesday, Elder and Sister Knight invited us in for some comfort food. They are such thoughtful neighbors – and we were starving! 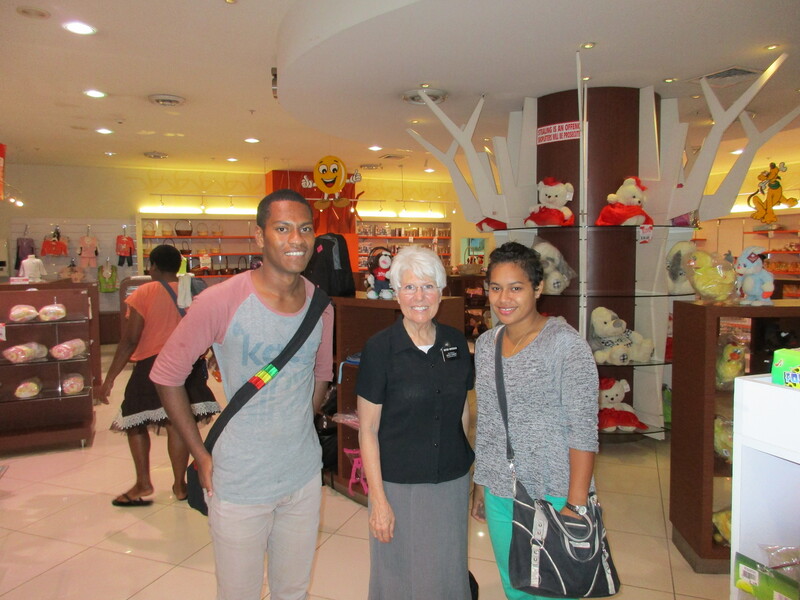 To motivate any who are considering a visit, Elder Knight knows a good place to buy the large and colorful Fijian pearls. 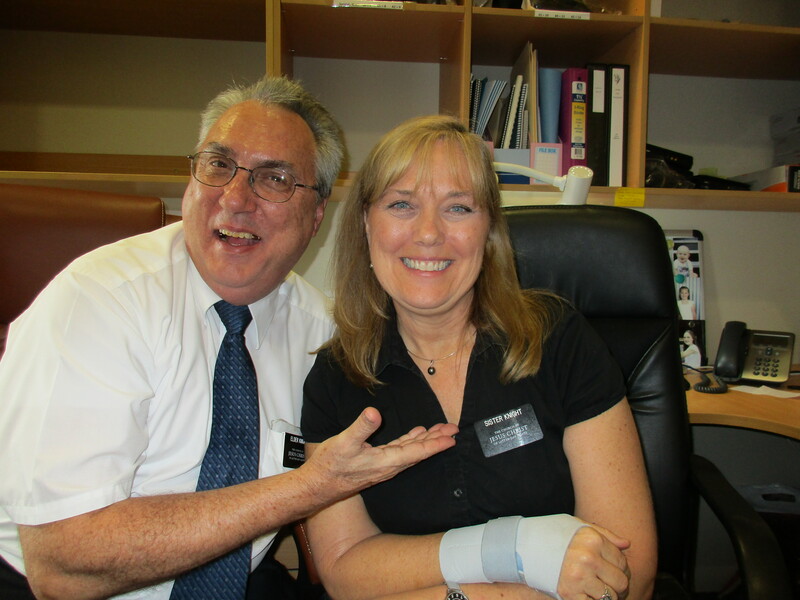 We have loved visiting with the YSA’s who come in to the institute during the day. 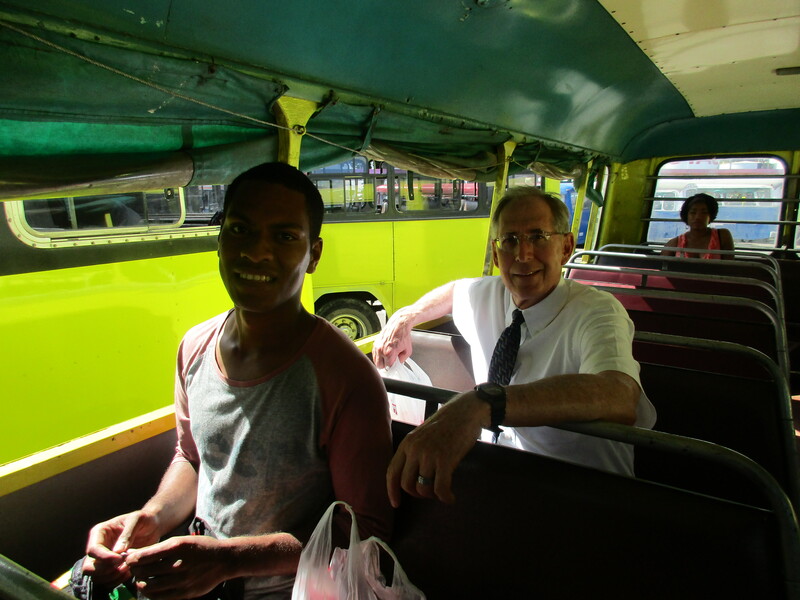 Gabby, one of our prospective missionaries, came in and offered to be our tour guide on Friday, showing us how to take a bus in to downtown Suva to shop. That was a blast! The buses have no windows, and are usually packed with people, including schoolchildren wearing their school uniforms. We were joined by another YSA, Josifini, who was super helpful showing me where things were in MHCC mall – which, by the way, has some very nice stores. It was a week of firsts for us – the bus ride, sweeping with a sasa broom, finding geckos in our bedroom, and having company over for dinner Friday night. 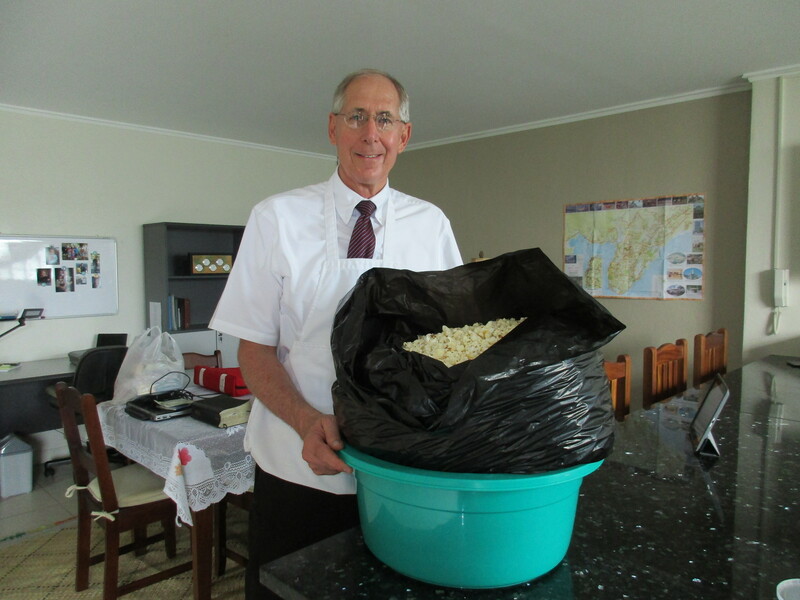 Saturday Craig popped an entire kilo of popcorn while I baked cookies for the forty plus young single adults who came to see Jack Weyland’s movie “Charly.” Everybody loved it. In fact those who came late wanted to see what they had missed, so we had two showings, and didn’t get home until about 10:30pm. The whole evening was so much fun! Joyze, Sean and Manny with our Amercan girls Jasmine, Breanna and Sara who are here with Help International. Sunday we met a woman in our ward who is Russian, and were invited for dinner next Sunday. 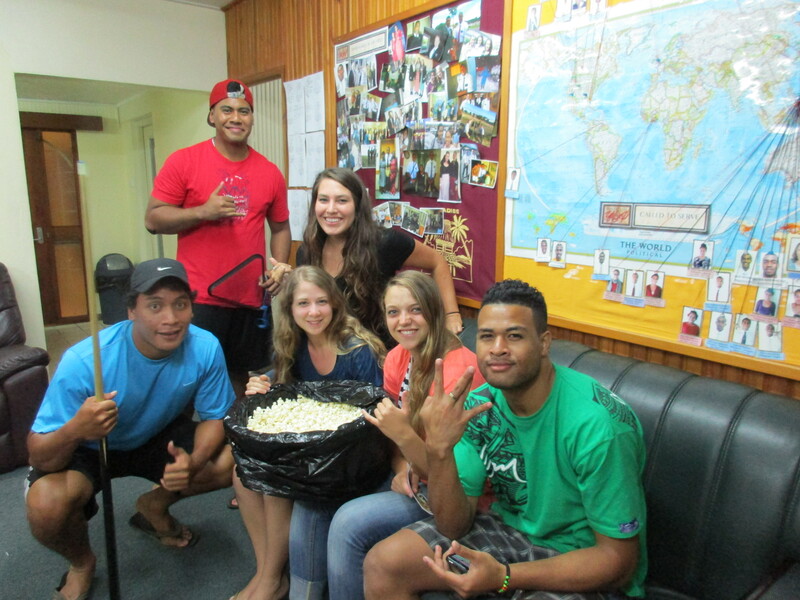 We just might get to eat Borscht and practice up on our Russian while here in Fiji after all! We went for a drive after church so I could get some practice when fewer cars are on the road. It was a gorgeous day, so we stopped along the Seawalk where we saw mangrove trees. They are fascinating! They have shoots which give the tree oxygen that look like roots growing from the branches downward to the sandy soil. So many new things to see! Can’t wait to see what the next week brings!